Deep breath. You’ve just seen officially the best sofa-wear EVER, I’m not even interested in Slankets anymore. 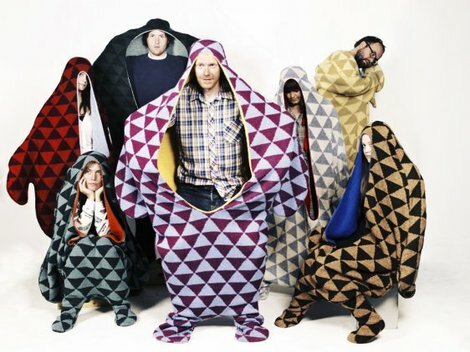 Called Sealpelts, made out of Icelandic wool and roughly the shape of a floppy baby-gro with a hood these are stitched in beautiful geometric patterns that somehow reference both new rave and traditional Nordic knitting at the same time. I am so sold. Hell I’d wear these out and about if it weren’t for the fact that it covers your shoes. Designed by Icelander Vik Prjonsdottir, they cite a tragic fairytale of a fisherman and a seal as inspiration. Er, cute I guess. If Iceland needs something to kickstart its economy again – surely these Icelandic wool adult-sized baby-gros are the killer product to do it. It seems they are only stocked in Reykjavik and New York, unfortunately they’re pricey too: $530.00 (£355) in the New York store Scandinavian grace, but much cheaper online $235.68 (w/o VAT) (£150) on Birkiland. Start saving for next Christmas now. Wow – those things looks crazy. 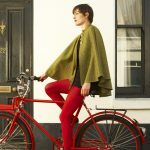 The success of the Slanket has really spawned a whole new market. Interesting. Can’t say I’ve ever seen anything like it. The whole design is pretty wild, but I still like it.